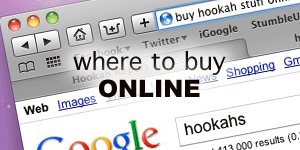 Hookah-Shisha.com, the veiled manufacturers of Romman Tobacco, released a new line of shisha tobacco today under the name Al Tawareg (AL Ta-WEAR-Egg), which means “The Wondering Nomad”. 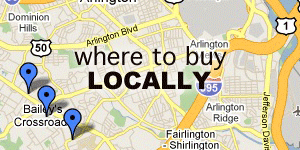 The brand is intended as an economy line of their more expensive brand. The new brand sports some unique flavors, namely Beer and All American Whiskey, as well as many more common flavors. Currently, there is some crossover between flavors offered in the Romman line and the Al-Tawareg line, such as Banana Split, Cappuccino, Coconut, Double Apple, Spearmint Gum and Sweet Melon. However, some differences should be expected. Hookah-Shisha’s new brand, like Romman Tobacco, is ‘unwashed’, meaning nicotine levels may be a bit higher and some smokers should expect to experience varying levels of head-buzz a washed tobacco. Seasoned smokers shouldn’t expect any kind of buzz, however new smokers may experience varying levels of head-buzz. The tobacco is composed with honey and glycerin and is very finely cut, much like Romman. We had a chance to spend some time with a handful of flavors prior to today’s release. The experience ranges from impressively accurate (Beer), to mellow and delightfully inaccurate (Whiskey), to instant and ancient classic (California Dream and Double Apple), all the way to painfully underwhelming (Blueberry). The first impressions are very good. Particularly the Beer and California Dream flavors. The clouds produced are generally impressive, the flavor and smoke tend to last a surprisingly long time, and the cut and composition make the tobacco very, very easy to pack in any bowl that suits your fancy. 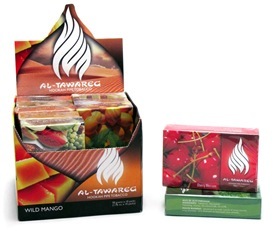 Currently Al-Tawareg is only available in 50g packages for $2.45 each. At the moment, there are no definite plans to offer the brand in combo-packs or larger quantities.